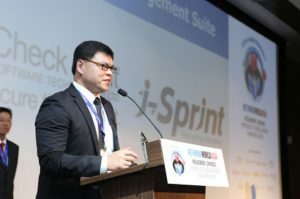 i-Sprint Won Consecutive 2 Years NetworkWorld Asia Readers’ Choice Identity Management Suite Award! 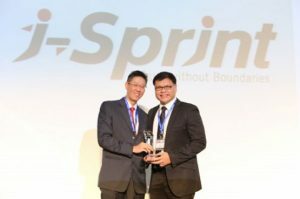 Singapore, 2 November 2015 – At the 10th NetworkWorld Asia Readers’ Choice Product Excellence Awards 2015, i-Sprint Innovations had once again won in the Identity management Suite Category. The award ceremony was held on 29 October 2015 at One Farrer Hotel & Spa, Singapore. The Readers’ Choice Product Excellence Awards recognize solution providers in each technology category which have made the most impact on Asian end-user organizations in 2015, based on votes from qualified readers of NetworkWorld Asia, Networks Asia, Asia Cloud Forum, Security Asia and Storage Asia. i-Sprint was honored to have been voted as winner under Identity Management Suite category for consecutive 2 years. i-Sprint would continue to innovate and develop better Identity, Credential and Access Management solutions. Click here to view more information on the awards. To view more photo, please visit i-Sprint’s facebook.